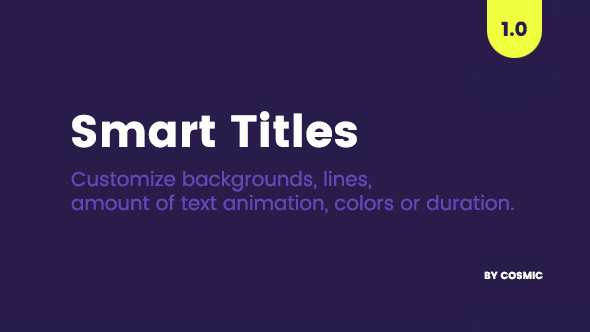 Smart Titles is a collection of titles with which you can make various adjustments. Make your texts looking great and don’t matter if your text is one word, line or whole paragraph. Change the duration of animation with one click. Image used in video preview is free and it’s from this site.